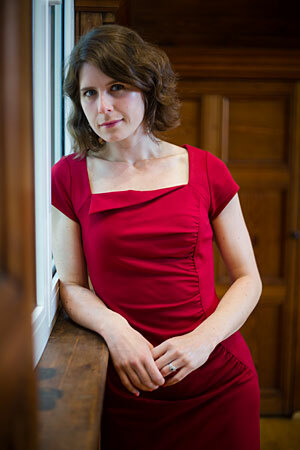 Philippa Harrison, piano: Archive schedule of concerts, performances, workshops. A celebration of Debussy's piano and chamber music to mark his 100th anniversary. A varied and interactive programme. Albert's Band family friendly concert. An interactive and varied programme. Recording of solo piano music by Sadie Harrison on the Prima Facie label. A charity concert in aid of Zion Ministries to include performances by the Willshire Duo. An evening concert given by Esther Hopkinson, violin and Pippa Harrison, piano. Recorded live at Imperial College London from 5.45-6.30pm and then broadcast at 10pm after the main prom on BBC Radio 3. Vexations is just a single page of piano music. But Satie's instructions is that it is to be played 840 times, very slowly. Notation of the relatively straightforward chords is intentionally perverse. He clearly wanted to vex the performer as much as the audience member. There are few pianists who have taken on the challenge single-handedly since John Cage organised the first relay of pianists back in 1963 and who have lived to tell the tale. In Cheltenham, we're spreading the load, and inviting pianists to be part of this unusual event marking Satie's 150 birthday year. A variety of music performed by Izzie Couch, clarinet; Susanne Dymott, mezzo-soprano and the Alke Quartet. Accompanied by Pippa Harrison and James Willshire. Programme to include Finzi's Five Bagatelles for clarinet and piano, songs from Bizet's Carmen and Rogers and Hammerstein, and Mendelssohn's Quartet Op.44 No. 1 in D major. A variety of solo and piano duet repertoire in celebration of the new piano at Ludham Church.